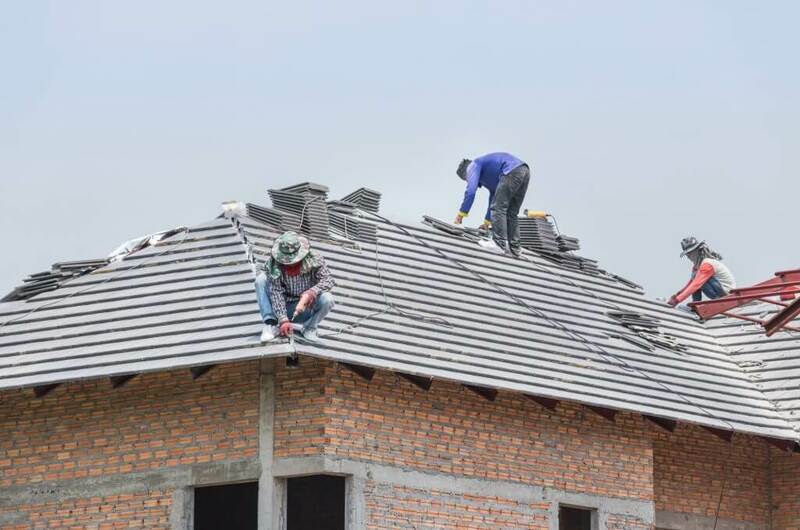 Between 2017 and 2018, 64 professional tradesmen fell to their deaths while undertaking roof repair. 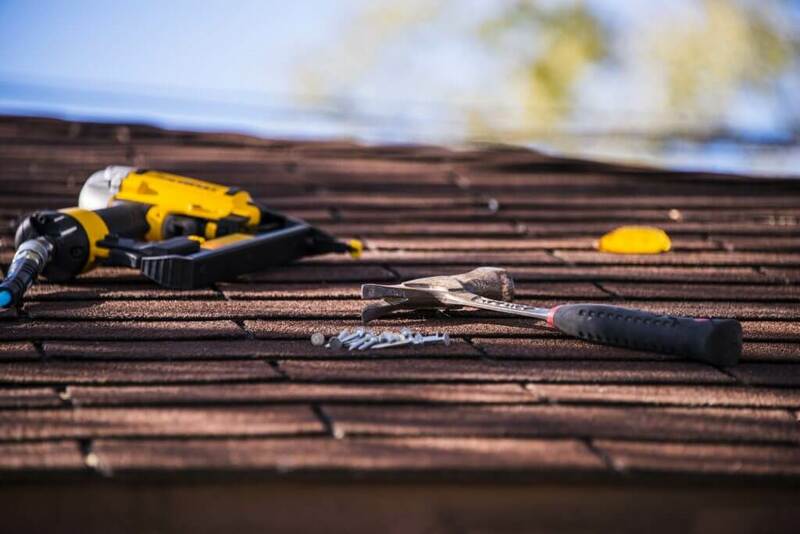 If that isn’t enough to deter you from trying to solve your own roof problems, think of the time and energy that a roofing contractor will save you. Let’s face it, you have a day job. 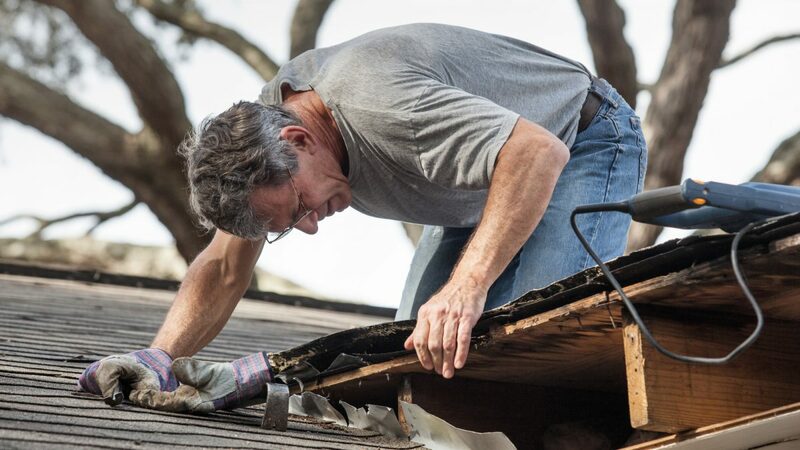 When it comes to DIY roofing repairs, the odds are against you. These are the times you need a pro on board. 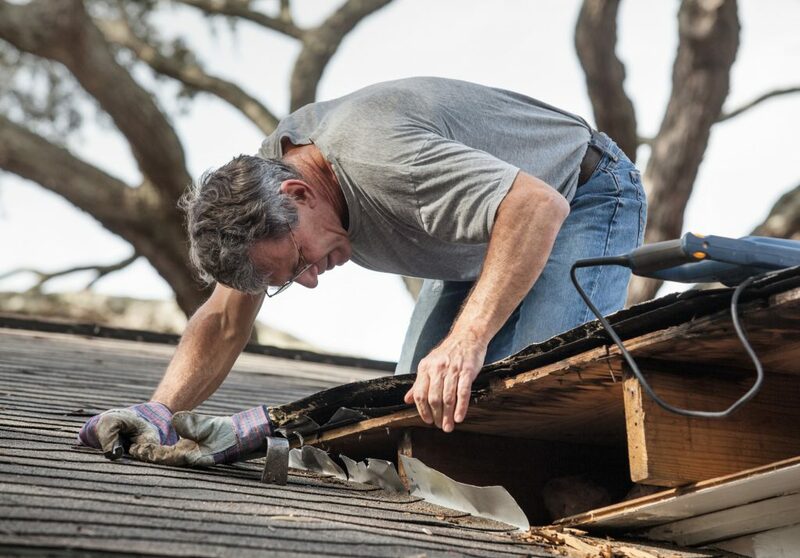 A tree or large branch that’s crashed down on your roof is one of the most obvious signs that you need professional help. Structural damage can extend way beyond the surface of your roof and lead to serious roofing issues later if it’s not repaired correctly. A professional roofing contractor will check every area that the impact could have affected. They’ll fix the damage seamlessly and ensure that your roofs sealant and flashing are in good shape too. Flashing is usually installed around HVAC systems, chimneys and skylights as well as in roof valleys. In fact, any place where two surfaces meet on your roof must have flashing installed to prevent leaks. If there are other areas on your roof where water runoff is heavy, you’ll need flashing there, too. The most common flashing materials are aluminum, copper, and sheet metal. There are also different ways to install flashing. For example, a chimney needs flashing at the bottom, step flashing at the sides, and saddle flashing at the top. Leaks are a sure sign of outdated, incorrectly installed, or damaged flashing. 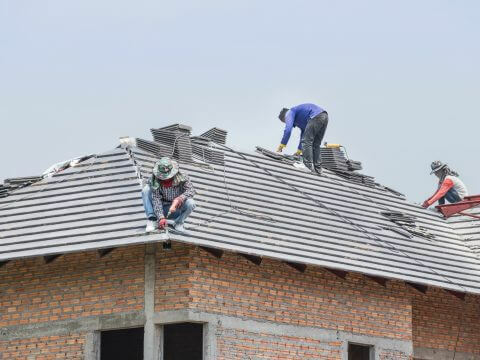 Get your roof checked every year to avoid disaster in the rainy season. Improper ventilation is one of the more serious and most common roofing issues. Every roof should have vents at the base of the roof and near the top. This enables cold fresh air to enter from the bottom and stale warm air to exit at the top. This regulates the moisture in your attic and roof. Heat build up can cause your rafters, sheathing, and shingles to rot. More seriously, excess condensation breeds mold and mildew which can cause severe health problems. If these vents aren’t properly screened, insects, snakes, and rodents could enter your home too. Rodents, leaks, and escalating electricity bills are signs that your roof ventilation’s gone awry. A few missing shingles are one of those common roofing problems that most homeowners ignore. Until it’s too late. Shingles are often damaged by overhanging branches scraping your roof, shrinkage of the underlying roof membrane, or poor ventilation. High winds can also blow them off the roof. Even one missing shingle is a sign of trouble ahead. If shingles are missing from your roof valleys, it’s likely time for a new roof. Call a roofing contractor as soon as you notice your roof losing shingles. If your gutters aren’t doing their job, you’ll get ponds of standing water on your roof. Water will seep down into your fascia, soffits, and roof sheathing, causing them to rot. Broken or clogged gutters allow water to seep into the eaves of your roof and weaken them. Uncontrolled roof runoff has serious consequences such as flooded basements and damaged foundations. Crushed, bent or broken gutters cant’do their job and need immediate attention. Keep your gutters clear and get an expert to check them regularly. To save costs, it’s common to install a new layer of asphalt roofing over the old one when installing a new roof. This is totally okay, as long as you don’t end up with more than two layers of roofing. Not only is this against most building codes, but it’s also dangerous. An extra layer of roofing can exceed the load-bearing threshold of your roof framing. Often, the third layer of shingles is prone to being uneven and poorly anchored to the roof sheeting. Just don’t do it. A reputable roofing contractor would never offer to exceed two layers of roofing. A leaking roof is one of the most obvious signs that you have roof trouble. Small leaks won’t heal themselves. In fact, they’re likely to get worse fast. Don’t ignore them. Any moisture that seeps into the layers of your roof will eventually cause rot and mold. The trouble with leaks is that a small leak can drip into your roof for years before it makes its presence felt inside your home. By that time it could have wreaked havoc. A regular roof inspection to check for leaks will prolong the life of your roof and prevent costly repairs. Faulty roof installation is more common than you think and can lead to a world of common roofing problems. Eliminate the danger of a shoddy job by researching roofing contractors in your area before you hire one. Ask for references, check reviews and look them up on the Better Business Bureau. A reputable operator will always visit your property to assess the damage before providing you with a quotation. The best ones won’t charge you for this service. You can’t avoid things like hail and wind damage to your roof. Yet, you’ll find that your roof is better able to weather a storm when it’s in good repair. 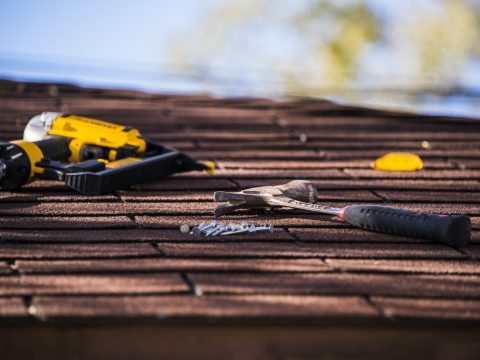 Regular maintenance checks will ensure your roof is in the best possible shape when winter extremes roll around. Your roof is one of the most important and expensive parts of your home, and it pays to keep it in top condition. 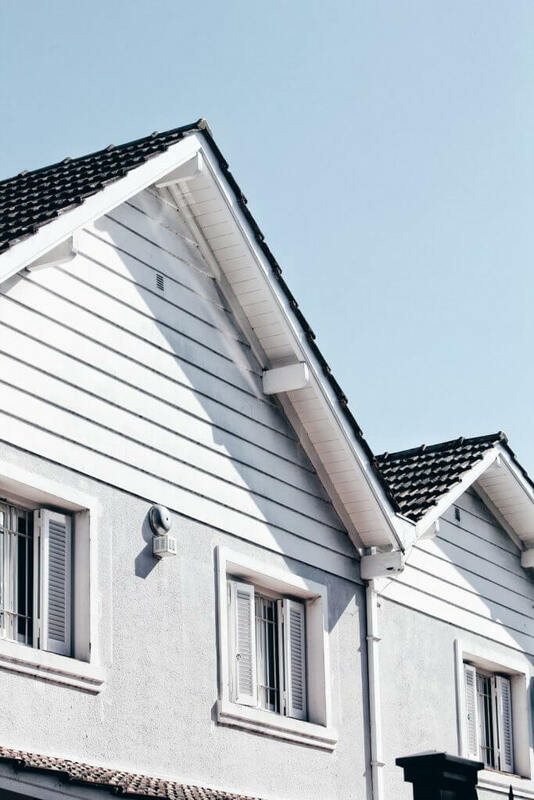 Your best line of defense against a hefty roof repair bill is avoiding common roof problems by resolving small issues fast. 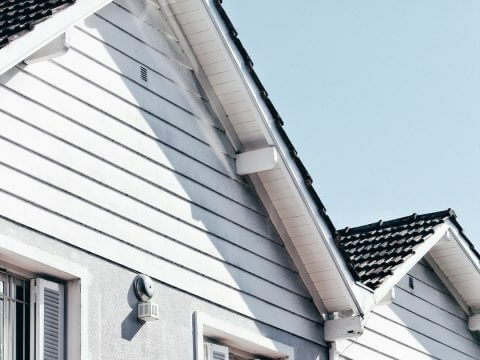 Delaying roof repairs will only lead to extra expenses down the line. Get in touch for a free roof repair estimate today.